BENGALI: Jinghey, Jhinga, Titotorai. Titojhinga. CHINESE: Guang dong si gua, Kak kuey, Leng jiao si gua, Si gua, Yue si gua, Sin qua. INDONESIA: Gambas, Hoyong, Ketola, Ketola sagi, Oyong. Patola, a vegetable, is a coarse, annual, herbaceous vine. Leaves are subrounded-ovate, 10 to 20 centimeters long, shallowly five-lobed, and heart-shaped at the base. Female flowers are pedicelled, occurring singly in the axils of the leaves. 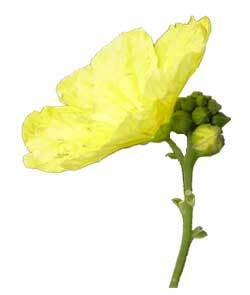 Male flowers are yellow, 2 centimeters long, borne in axillary racemes. Calyx lobes are lanceolate and pointed. Fruit is oblong-oblanceolate, 20 to 25 centimeters long, about 5 centimeters in diameter, green, and characterized by 10 prominent, longitudinal sharp angles. Seeds are numerous and close-packed. - Cultivated for its edible fruit, but not established. - In cultivation in the Old World Tropics. - Commercial cultivation required good care. NPK fertilizer is used to enhance growth. Pruning of lateral stems and leaves done for growth control or promotion of fruit or flower development. - Fruit contains a bitter principle, luffeine. - Seed contains a fixed oil of glycerides of palmitic, stearic, and myristic acids. - Fruit is considered demulcent, diuretic, nutritive. - Seeds considered purgative and emetic. - Studies suggest antioxidant, antimicrobial, anticancer, cardioprotective, gastroprotective, antidiabetic, hypolipidemic, hepatoprotective properties. · Edible; cooked or fried, used in soups and sauces. • Occasionally, stem tops with young leaves and flower buds used as leafy vegetable. • Young fruits of cultivars, eaten raw or pickled. • Unripe fruit is a good source of calcium, iron and phosphorus. • Fruit considered a fair source of vitamin B. • Sponge/Brush: Fibrous nature of the mature fruit, devoid of pulp, dries into a matrix of stiff vascular bundles and used as a bath brush or sponge. • Pesticide: In China, has been used as a pesticide. • Weaving: Fibers sometimes used for making hats. - Seeds and sponges in the cybermarket. 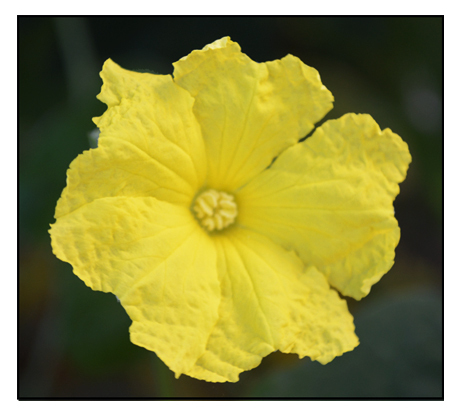 Hepatoprotective activity of Luffa acutangula against CCl4 and rifampicin induced liver toxicity in rats: A biochemical and histopathological evaluation / Vishal B Jdhav et al / Indian Journal of Experimental Biology, Vol 48, August 2010, pp 822-829. 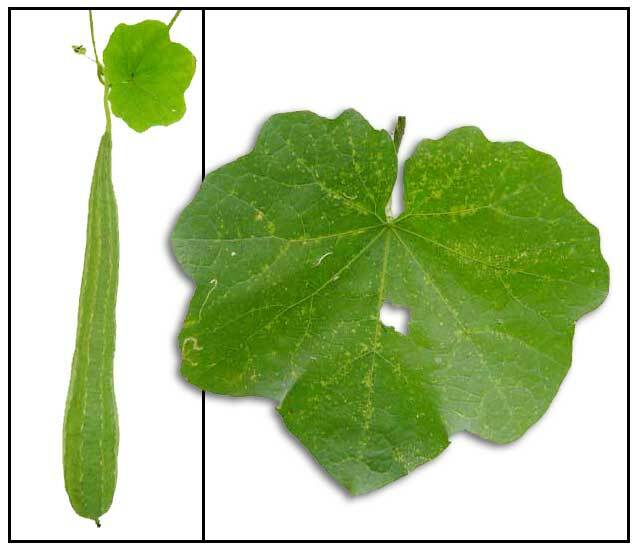 Bioassay-guided isolation and identification of bioactive compound from aerial parts of Luffa acutangula against lung cancer cell line NCI-H460. / Vanajothi R, Srinivasa P / J Recept Signal Transduct Res., 2015; 35(4): pp 295-302 / doi: 10.3109/10799893.2014.977451.